The 2016-17 MLB Winter Meetings begin tonight and with the CBA out of the way, we can only hope that this cranks up the heat in the Hot Stove and provides plenty of action to get us excited about the 2017 baseball season. I spend most of the winter pretending Fantasy Football is just as interesting as Fantasy Baseball (it is not) and visiting sports betting sites as I eagerly await the trades and free-agent signings that provide fodder for articles like this one. The rumors are already starting of major deals close to fruition - the Dodgers are rumored to be close on re-signing starter Rich Hill to a three-year $48 million contract; the Astros (more below) have reportedly agreed with Carlos Beltran on a one-year deal for $16 million; Jon Heyman is reporting that both the Nationals and Giants have four year $60 million offers out to Mark Melancon; Derek Norris is back with the Nationals; and finally the Yankees are supposedly in the driver's seat on 34-year old slugger Edwin Encarnacion despite being in rebuild mode. So, on the eve of the Winter Meetings lets look at a couple of the more interesting baseball transactions of the winter thus far and their fantasy ramifications. As a Chris Carter owner this was not my favorite transaction of the week. The fact that I had been attempting to trade high on Carter's 41 homers had a little something to do with it. Carter of course has been designated for assignment and is headed for free agency. Rumors have the Orioles, Yankees and Blue Jays at least mildly interested. But what do the Brewers have in Eric Thames? Eric Thames was a solid prospect for the Toronto Blue Jays who had a decent debut season but spent the next two seasons getting sporadic major league at-bats between the Blue Jays and Mariners. 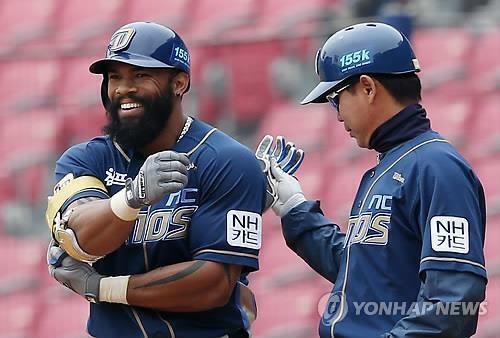 He went to South Korea to play in the KBO and became a star player, an MVP in fact. He hit for massive averages, got on base a ton and hit homers like Cecil Fielder back in the day. He even stoles bases and had the KBO's only 40/40 season. And now? He is a Brewer. Only a few hitters have managed to make their way from the KBO to MLB but surprisingly the ones that have found their skills mostly translated. Clay Davenport who I love for his statistical translation between U.S. leagues and places like Cuba and Japan has suggested that Thames is for real and should hit for average and homers (and even steal some bases) now that he is back in the states. His projected slash based on 2015 numbers suggested a slash of .333/.389/.628 with 30 homers. I'll bet a few bucks on that projected outcome. Given the going rate for pitching in Major League Baseball it is a bit surprising that more writers haven't dove deeper into the players accompanying Jean Segura from Arizona (though Mitch Haniger is quickly gaining a sleeper label in fantasy circles) in return for promising potential ace and controllable starter, Taijuan Walker. And just about everyone has ignored the possibilities that Ketel Marte represents. Jean Segura had a great 2016 season with the Diamondbacks and will go down as the best acquisition made by the LaRussa/Stewart Regime. Arizona's Chase Field is a great environment for a hitter and the change of scenery probably helped a lot as injuries and personal tragedy were clearly a drag on his performance in Milwaukee. The tools for this performance have always been there and despite weaknesses in his batting eye, he makes excellent contact, has decent power and the speed to steal 30-plus bases per season. In 2016 he hit the ball harder and Chase field definitely had an impact on his performance. Moving to Seattle's Safeco Field may sap a bit of that power and batting average but I expect he will still be a strong fantasy producer with a BA closer to .270 than .300 and closer to 10 than 20 homers. That said being in the American League and a potentially strong lineup in Seattle he should score plenty of runs and have better RBI potential even in the leadoff spot. Mitch Haniger may be priced out of sleeper range by the times most drafts start. According to Baseball America, Seattle officials are certain that Haniger will be on the major league roster to begin the 2017 season, most likely as the starting left fielder. Haniger has largely come out of nowhere after re-modeling his swing with a leg kick fashioned after players like A.J. Pollock and Jose Bautista to tap more into his natural power. Haniger already had a decent batting eye and all the tools you would want in an outfielder but had failed to impress statistically. In 2016 he exploded for 30 homers (and 12 stolen bases). He is almost universally being projected to hit for a decent average (.250 or so) and around 20 homers in a full season in the majors, that might be light. Zac Curtis had a great minor league season but blew up a bit the majors (just like the rest of the Diamondbacks bullpen). From all reports his stuff is just average but his minor league strikeout rates are intriguing. He is not worth a draft pick but at some point he might be a useful source of lefty relief pitching with K-potential. Taijuan Walker has almost everything you want in a pitcher. He has great stuff, solid control, good strikeouts and induces ground balls. His only real flaw is allowing homeruns. His hr/fb rate for his career is just under 14 percent. Steve Gilbert of MLB.com says Walker is working on adding a two-seam fastball to his repertoire. In theory this could boost his ground ball percentage and reduce the number of costly fly balls a bit. Its something to watch in Spring Training. Ketel Marte is almost a light version of Segura. He has the same tools just on a slightly lower scale. He advanced through the minors very quickly rarely spending an entire season at a level and skipping levels without missing a beat despite always being among the youngest players in his respective leagues. Unlike Segura he has shown patience at the plate and the ability to draw walks, until 2016 anyway. In his first full season in the majors his walk rate was a bit disappointing despite his history and he chased more pitches than usual as well. To me this sounds like the over eagerness of a young player in the majors to impress the masses. He also suffered a variety of injuries to his hamstring, neck and ankle and dealt with mononucleosis in 2016 and had two stints on the disabled list. With a return to health in the offensively productive environment of Chase Field I expect he is a lot closer to his 2015 level of performance than the 2016 level. The Diamondbacks appear ready to let him start the season at shortstop and see what happens which bodes well. With his potential on-base skills he should be able to earn a spot near the top of the lineup and score a ton of runs and steal close to 30 bases.